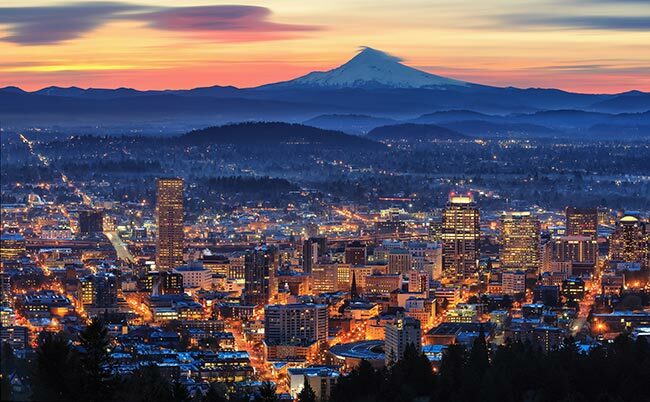 As a center of technology and advanced manufacturing, Portland is widely recognized for looking forward to the future. The town’s businesses and public offices continually invest in the most important technological advances, allowing the local economy to provide ever-increasing amounts of jobs and wealth to the more than 2 million people living in the area. ExpeditedFreight.com further strengthens this robust economy by offering reliable, rapid expedited freight services. Operating throughout the Portland metropolitan area and other cities in the region, we transport our clients' goods quickly while keeping road risks to a minimum. Portland’s advanced economy has a symbiotic relationship with expedited transport services. On the one hand, Portland produces much of the technology and equipment that makes such services possible. In particular, the town is home to a major freight truck manufacturing facility, which creates the vehicles that carry shipping goods across the country. On the other hand, this industry and all others in Portland depend on having access to expedited shipping solutions of the highest caliber. Freight truck manufacturing, advanced technological development, and other business fields of this kind depend on delicate and often rare supplies, which must be brought in undamaged from distant parts of the country. Portland can only continue to thrive if it can attract carriers who specialize in safe, rapid shipping. ExpeditedFreight.com specializes in just such deliveries, having provided rapid and reliable shipping for manufacturers, technological developers, and hundreds of other producers from dozens of industries. 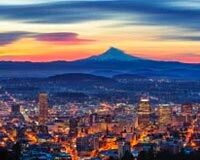 We operate all over the Portland metropolitan area, including in Portland proper as well as in Salem, Hillsboro, Beaverton, Vancouver and Gresham. Proactive Route Planning - We stop delays before they start by planning each delivery route with care. Not only do we find a path that is physically short, but we avoid exposing our vehicles to harsh weather, traffic congestion, or any other issues that can derail a delivery. This way, not only are we able to delivery quickly on average, but we minimize the chance that any particular delivery will go awry. Tenacious Tracking - No plan is foolproof, which is why the ExpeditedFreight.com team watches our vehicles carefully while they are on the road. With the help of advanced tracking technology, we guide our drivers around traffic, road damage, and other obstacles as soon as we detect them. This further speeds up deliveries while minimizing any risk to your orders. Customer Contact - Our tracking methods offer a number of additional benefits, chief among them that we can inform you of the location and estimated arrival time of your truck at any moment. You need only contact our customer service center, which is open 24 hours a day, and ask for a report. You can also get free estimates on future orders from the same center, along with answers to any questions you have about both present and potential deliveries. ExpeditedFreight.com plans each delivery carefully, shipping your items as safely and quickly as possible. To learn more about expedited delivery solutions from ExpeditedFreight.com, visit our website today or call (503) 573-8000.